Bengaluru now boasts a cybercrime detection centre befitting its stature as the country’s tech capital. 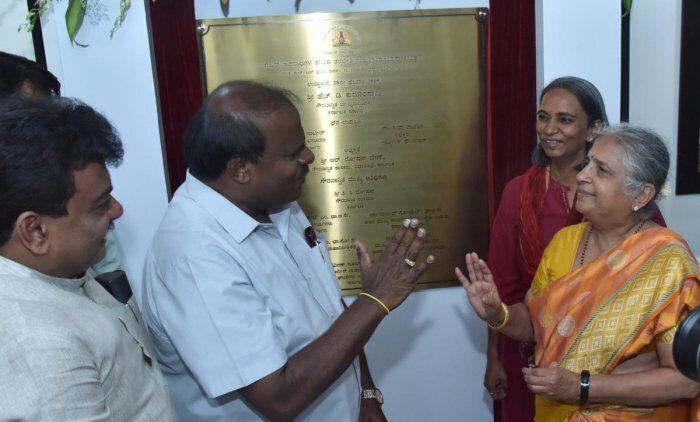 The high-tech Cybercrime Investigation Training and Research (CCITR) inaugurated by Chief Minister H D Kumaraswamy at the Criminal Investigation Department headquarters at Carlton House on Thursday, can accommodate 100 staffers and has separate training rooms equipped with advanced technology. The high-tech equipment, mostly from the USA, help in tracing IP addresses, recovery of deleted memory or salvaging data from broken mobiles. IPS officer Anoop Shetty, Raghavendra Shetty, a deputy superintendent of police, and an official from the Data Security Council of India (DSCI) would be sent to Connecticut in the US for two weeks and will be trained how to use the equipment. Speaking after the inauguration, Home Minister M B Patil said cybercrime cases, especially data theft, were on the rise. “Bengaluru’s IT companies are competing with those in California. We have to be more advanced and at the same time, we must secure data. Upgrading technology is the first step towards detecting cybercrime cases,” he said. “This centre will train 5,000 police personnel. It will also provide a platform for students, including law graduates, to undergo a two-month internship here. They can also provide solutions to cybercrime cases. The world should look to Bengaluru for cybersecurity,” he added. Sudha Murty, chairperson of Infosys Foundation which helped set up the centre, said, “We signed an MoU with the state government for completing the centre in 60 days and in keeping with the agreement, we opened it on time.” Infosys, in collaboration with DSCI, will maintain the centre and train police officers for the next five years. “We have donated Rs 22 core for the project which will help the cyber crime police detect the cases effectively,” she added. DGP (CID) Praveen Sood said Infosys was helping in bringing in experts from tech companies to train policemen.